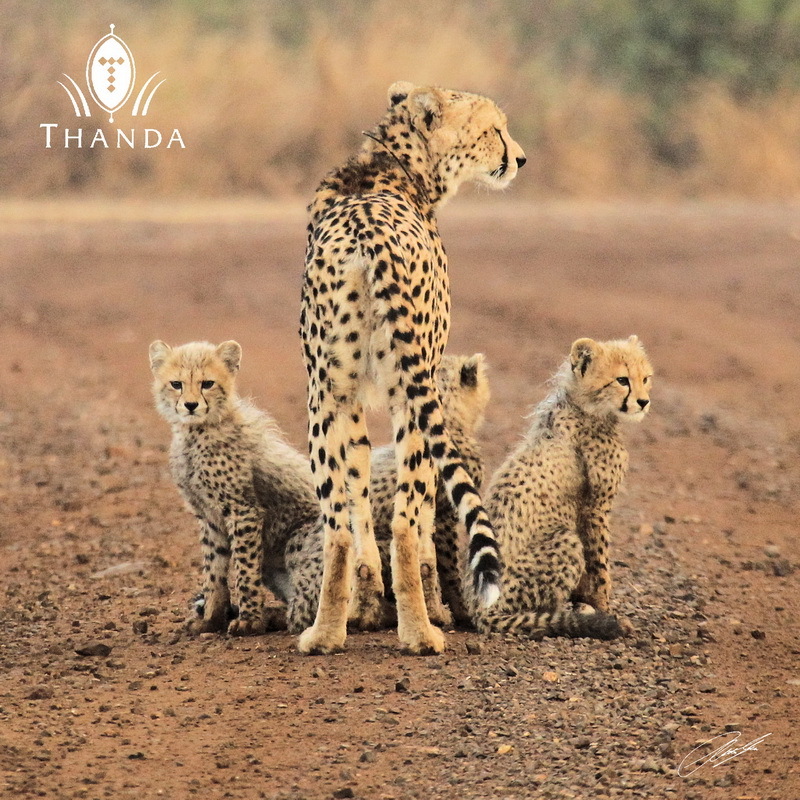 Thanda’s three month old Cheetah cubs were on a early morning walk down the road with their mum and the Thanda guests had a good look at them. When the cubs are this young we do not view them “off-road” so this was a very special treat not only for the guests, but also for all trackers and guides who got to see them that morning. Lovely photo! The young ones are so brave near their Mum! Quite cute! It’s an awesome picture! Is the mother tagged? She seems to wear a collar round her neck. Yes, mum is wearing a radio collar. That way our wildlife management team can keep and eye on her and her valuable off-spring. Christian, is this the same Cheetah(now mom) that was released at Thanda back in Jan 2013? If so that is wonderful. I’ve always wondered how she was doimg in her new surroundings.